Heckfield Place – WHERE'S BRENT BEEN? This review first appeared on our SmartFlyer website and I also wanted to share it here. Heckfield Place is totally fabulous! Imagine yourself stepping foot into a (wealthy) friend’s private country home. From the moment you arrive, this property oozes style. Ben Thompson, a young protégé of Ilsa Crawford, has created interiors to swoon over. The original Georgian House feels ultra chic and private. 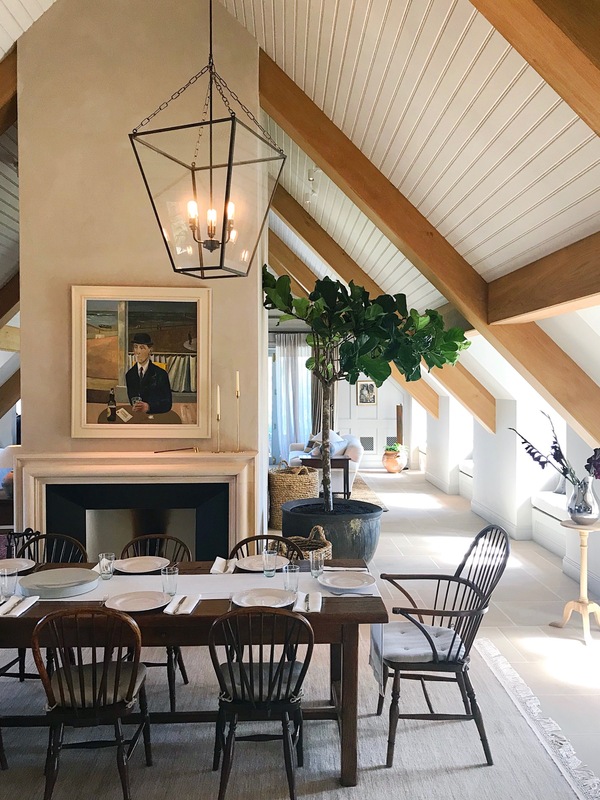 The property features fine 20th-century English art throughout, each from owner Gerald Chan’s private collection. It’s all so good. There are two different areas where rooms are housed amongst Heckfield Place’s 438-acre patch of Hampshire countryside. Signature Rooms are situated in the original Georgian House, which was refurbished to have more of a grand country house feel. Rooms are spacious; even the entry-level, the Friends Room, is cozy but hardly feels cramped. For those really looking to truly be in the lap of luxury, the Long Room (with a rate of GBP10,000 per night), is truly divine. While the hotel is family-friendly, Signature Rooms are not an ideal location for those traveling with kids. If you have little ones in tow, “The Corridors” section is best. These rooms are located in the newer part of the hotel where rooms are designed with a modern style. The Corridor rooms are more contemporary in style and so comfortable they instantly make you feel at home. Rooms are well thought out and include iPads, hot water bottles and plenty of thoughtful storage. Small Bodyism gym is on site. A larger gym and infinity pool are set to open in 2019. With chic interiors that will immediately have you feeling relaxed, Little Bothy Spa is a must when on property. During my stay, I enjoyed one of the Signature Heckfield Place massages. I’m a tough critic, but it was honestly one of the best I’ve ever had! Currently, there are three intimate treatment rooms, with more to come when the larger spa opens in 2019. All products used in the spa (and bathrooms) are Heckfield’s own plant-based line, Wildsmith Skin Range. It smells delicious. Food is courtesy of the fab Skye Gyngell, who has been appointed Culinary Director at Heckfield Place. I adore her food. Think farm-to-table goodness with a modern twist. Nearly all ingredients come from the property’s bio-dynamic farm for an extra special touch. There are two restaurants on site. Hearth is for in-house guests only, and currently open only on Friday and Saturday nights. All food is cooked on an open fire right in front of you, making for not only delectable cuisine, but a memorable dining experience. Make sure you work with your travel advisor to book a table in advance! The other is called Marle, and considered the main dining room (visitors welcome). Its sunny terraces boasts expansive views overlooking the lake as you dine al fresco for breakfast and lunch. There are also private dining spaces throughout the hotel to hideaway if you just can’t bare the idea of company! The cozy Moon Bar is situated in the main house and reserved exclusively for in-house guests. Dark, moody paneling and dramatic drapery create a relaxed hideaway. It makes the perfect post-dinner spot. Heckfield Place is a family-friendly hotel. They offer children’s menus in the restaurant to accommodate less refined palates for the little ones. Plus, there are kids activities as a part of their “Assembly” program of daily events and activities. The Assembly is the property’s round-up of daily activities and events on-site. Have your travel advisor send the program in advance of your stay so you can mark the experiences that interest you. Make sure you sign up for complimentary tours of the estate, including visits to the woodland, market, flower garden and farm.